PLEASE NOTE: This post contains older material that does not necessarily represent our current project, Gemini Journey. It has been left unaltered for educational purposes. Hello everyone! Tracy MacLauchlan, co-producer, writing. But didn’t I say it was ‘everyone has their own mythology to unfold’? Okay, we’re still finding the right words, but it’s the same idea: one’s personal life journey as it relates to a mythological tone. This is our story now as we have it, and this is what I will be talking about today. A theme is the metaphorical heart of a story, pumping blood into all aspects of the show. As I have come to understand it, the central idea -a theme- is usually a thought, statement, or question about society and/or the human condition that plays into the reasons-of-being for the characters, who are at the forefront of a story. 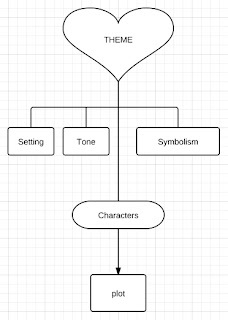 From there, the characters create plot through conflict. Theme also breathes life into symbolism and can be a huge factor in the setting and tone. Inversely, all aspects of a tale trace its origins back to the heart, because all aspects must either explore the theme (if it’s an open-ended one with no stance, like “the pros and cons of the death penalty”), or prove it true (if it’s a closed theme with a statement to make, such as “the death penalty is unjust”). What we found is that it's important to take a stance with your point. For example: “The Death Penalty” with no reason behind it is not a theme. For Taffetas, we want something deeply tied to myth and legend. Our setting is already a modern world filled with mythology, so what we realize now is that our story must itself be a modern myth. It wasn’t easy coming to this conclusion. When immersed in “my-character-does-this and my-character-does-that”, it’s easy to lose sight of what your point is. Awwwww!! ...what was I talking about? In any production, characters come first. They’re the face of the show. 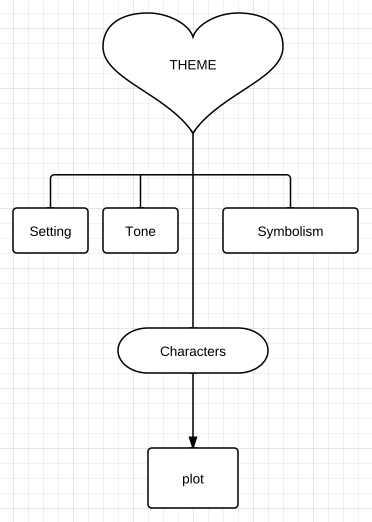 The point of knowing your theme is that without that added depth of some central idea, a character-driven story will fall flat from a lack of clear direction and/or emotional truth. To find Taffetas theme, we really had to look at what we had- the setting, the characters, the big plot points we wanted to hit, and figure what it was all about by trying to find a common thread between them, or at least the most common thread since it was understood we would have to change a lot of things once we picked a theme. What we found was our story was about growing up, what it meant, the challenges, and how that personal growth is a burdensome journey with great reward. Mythological tales are about and theme and symbolism. Theseus defeating the Minotaur isn’t just about a guy running into a maze and killing a half-man, half-bull (though that is truly every man’s dream). It’s actually about a guy descending into his own subconscious to defeat his inner demon. Theseus’ story, and many myth tales, is an example of the hero’s journey, a mystical quest bestowed on a person who must face many trials to reach some reward. Myths also often tie into the values and lessons of the cultures and/or time they come from. So, when I talk about modern myth or the modern hero’s journey, I’m going for something full of meaning, fantasy, and all about a hero’s quest, but with an interpersonal, contemporary spin. Joseph Campbell was the first academic to research the uncanny similarities in mythological tales from around the world. One thing he found was a common structure in legends of heroic journeys (dubbed the hero’s journey, or the monomyth). The Call to Adventure – The hero is beckoned away from his home to cross the threshold into the unknown. Here the hero might hesitate. Help – Throughout these trials, the hero is often accompanied by a helping figure (or one appears when the hero needs one most in order to reach the climax). The Innermost Cave (Climax) – The final battle, the hero must face this challenge alone. It is here the hero has some sort of revelation through the realization of some truth and/or the defeat of “the big bad”. Susan Mackey-Kallis’ book, The Hero and the Perennial Journey Home in American Film was a big inspiration for Taffetas. The book's purpose was to explain the monomyth as it applies to modern film (The Lion King, Field of Dreams, and Thelma and Louise to name a few). As the book description states: "She argues that the purpose of the hero quest is not limited to the discovery of some boon or Holy Grail, but also involves finding oneself and finding a home in the universe." What I took away from the writing was a slightly altered version of the hero’s journey that fits perfectly for the Taffetas coming-of-age story as well. Pre-consciousness – this is the “home” the hero starts at, a child-like ignorance is here but there is a closeness to the supernatural and irrational (which can be manifested in a mother-goddess figure). Ego-Consciousness – The hero leaves the mother-goddess figure as he grows into an adult and sets out to be his own individual, in the process he sheds himself of irrationality and superstition. Transcendence – This is where the hero is able to put himself aside for the greater good, the ‘death’ of the isolated self. The Return Home – This is not a back-track to pre-consciousness, but it is a spiritual completion where the hero knows who he is, but does not make himself the central position in favor of selflessness and accepting the grand mysticism of the universe. So How Does All This Fit Into The Taffetas? In a contemporary city full of quirky fantasy characters, a bubbly ex-sea captain finds refuge in the apartment of her uptight, undead crush. 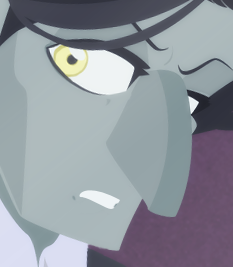 The two hold onto their mismatched relationship despite the outlandish drama they encounter, from needy sirens and gossiping gargoyles to deadly cult plots and the dark secrets from their own pasts. Because we’re paralleling coming into maturity to the hero’s journey, the monomyth outline does give us a great overarching structure to follow throughout the episodes. The theme itself gives our story meaning, symbolism, and reasons for our characters. I mentioned in character creation how you should know what your characters represent in your story. In The Taffetas, we are thinking that our characters serve two purposes: to represent the different roles in a hero’s quest, and also explore our open-ended theme of the road to maturity being a hero's quest. Bear in mind these are the loose metaphorical meanings we are thinking that are behind many of the characters, but not the things that will always be at the literal level of the show. Gemini is our main character and she is the one whose personal journey we follow from beginning to end, portraying all the steps of the monomyth. She is the hero in the hero’s quest. I mentioned earlier that she changed her background from captain to lackey, cultured to ignorant. This is because we want her to start at the very beginning of her story, so she has a lot of room to grow into a mature, self-assured entity. Veil is representative of Gemini’s helper-God figure (a mentor who assists the hero on his journey), as mentioned in Joseph Campbell’s outline. 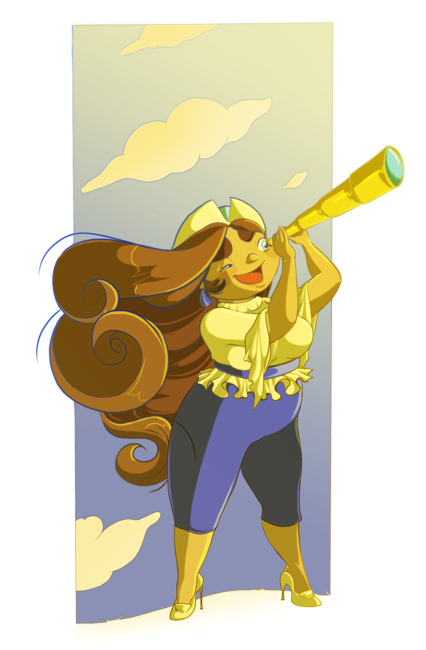 Through his guidance, Gemini gains self-awareness (ego-consciousness) in the earlier seasons of our show, which is her weapon to defeat the trials that await her in her journey. He also serves another purpose: he is later revealed to be an example of someone stuck at a point in his own hero’s journey. By giving Gemini the opportunity to help him, he gives her the key to furthering her own growth as well. Tom is like an example of the idealized person our characters will want to strive to be (on a metaphorical level). He’s completed his hero’s journey and is at peace. He can offer words of wisdom and advice in the path along the way. Sapphire An Aphrodite-like metaphor that offers love advice for our young heroine, as well as an example of a someone who can’t complete her quest. Wolf Struggles on his own hero’s quest and further exemplifies the perils of not growing up. He still helps though, and is very Dionysus-like. Lace is Veil’s mother and represents the goddess-mother from Mackey-Kallis’ outline. She is Veil’s fear to overcome and Gemini’s final test (the “big bad”) to defeat. Crow, like a trickster God in mythology, Crow’s purpose to create problems. He’s also the negative quality of Veil – Vain, judgmental – reflected and magnified. These aren’t all the characters that we plan to appear in the show, but hopefully this gives you a decent overview! Yesenia and I will be writing the episode synopsis and outline of our show soon, and I hope to post the skeleton that we have now that follows the hero’s journey (the major points we plan to hit throughout the seasons) with some cool pictures to illustrate as well. Tell us what you think! Did I make any sense, does the show seem like it’s going in a better direction now? Yesenia and I would love to hear what you think through comments, our Facebook, or e-mail. @Pacmanite: woops, thanks for catching that! And thank you for the kind comment!